Ladies & gentlemen, boys and girls it’s time to take your seats for the main attraction is about to begin. 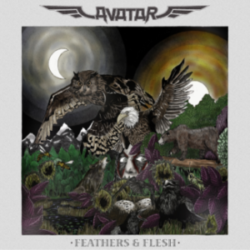 Hailing from Gothenburg, Sweden Avatar bring their sideshow act to town to deliver their 6th studio album titled Feathers & Flesh. The album is a concept album , a first for the band, that covers a wide array of music styles to get its story across. Vocalist Johannes Eckerström described the story saying “It’s a fable about an owl who goes to war to stop the sun from rising. It’s a tragic story of someone ultimately being set up to fail. She will learn many lessons and encounter many other creatures with ideas of their own. In the end, however, one must ask if something was learned at all.” This story is quite the tale about the duality of the experience , in fact it has its own published book launched along side of the album release to really help show the story. 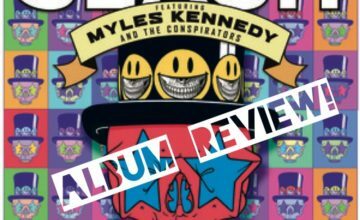 Concept albums can be very hit or miss as of late. There are some that I listen to several times and make absolutely no connection to a back story, and then there are others like Feathers & Flesh that sink their claws into you and pull you into this fictional world. Each track leaving you wanting to know what comes next and wanting to listen again and again to pick up the many layers. The tale of Feathers & Flesh can best be compared to a dark carnival ride, it has its wild moments and its smooth melodic moments. Something new at each turn of the ride, each dip and flip is new and exciting. Once the ride has come to a halt you cant help but hop back in line and ride again. With each track varying some much from the track before it, each carrying its own tone and mood there is really something in here for everyone. House of Eternal Hunt, For The Swarm and The Eagle Has Landed pack more of traditional metal punch. For those looking for something of a new variety there is New Land which shows off the impressive vocal range of Eckerström, or Tooth, Beak & Claw which drops a huge surfer rock riff on us. Black Water has a slow southern / doom metal feel that will make heads bang and fists pump. Sky Burial serves as a perfect final chapter with what I can best compare to an epic Pink Floyd anthem, with its smooth vocals and mixed variations of instruments and noises. It is its own small journey within this much larger epic tale. 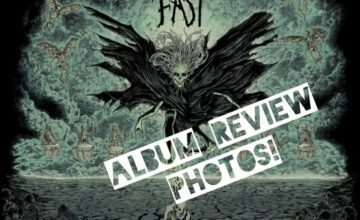 Feathers & Flesh has completely shattered my expectations and my view on what to expect from a metal album. Avatar have crafted one of the more creative album genre defying albums in recent memory. At first listen it was almost too much for me to really comprehend what they were doing here, and several listens later I am still discovering new elements to it. 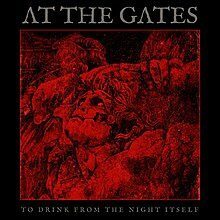 This is an album that certainly has some staying power and should become a new bench mark for bands of all genres.